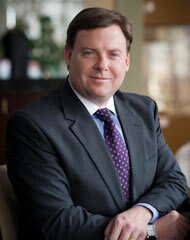 Mr. Groves has been with Greenberg Gibbons for more than 10 years. He has developed projects such as the Village at Waugh Chapel, Edgewater Village Center and the redevelopment of White Marlin Mall. Prior to joining Greenberg Gibbons, he worked for Wachovia Bank in Winston-Salem, NC, where he was an Associate in the Corporate Banking division. Mr. Groves holds a Bachelor of Science Degree in Management/Finance, and a Masters in Business Administration, from Clemson University. Mr. Groves is a member of the International Council of Shopping Centers.